Early in my working career I received an amazing life lesson from a little man from Cuba. He was at least forty years my senior, wore a clip-on tie, and half the time I couldn’t understand a word he said. But he displayed passion like I’d never seen before. The last time I saw him was on Election Day in November 1986. I’ll never forget him. I was apprehensive when the CEO of the bank told me that for the next six months I’d work full time on a campaign to defeat the casino gambling referendum on the Florida ballot. I was concerned it might be a detour from my career fast-track. But I got excited when I heard that I’d be working with the chairman of the local campaign, real estate developer Armando Codina, and a committee consisting of a who’s who of executives from leading corporations, banks, law firms, and real estate developers. I never considered what I might learn from my fellow staffers. I told him I thought he had a perfect knot in his tie. He grabbed the knot and with a flourish, yanked it from his collar. I was shocked to see the tie dangling from his fingers. “Clip-on,” he said with a laugh. We started out organizing contact lists, creating a calendar of meetings, and reviewing artwork for our ads. As we worked, the old man said very little, and he’d occasionally drift out of the room, to sit down with Armando or Jeb. They were friendly with him, and treated him with a measure of respect that we didn’t understand. Who was this guy? We organized a luncheon at the Omni Hotel to explain our position and raise funds. As hundreds of people filed in, the staffers made sure brochures were distributed, and then we stood awkwardly to the side. At least most of us did. Arturo just walked around and hugged people he knew and spoke to them in Spanish. 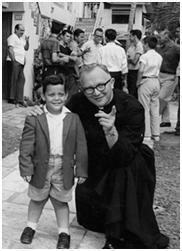 He was standing next to me when I saw Armando Codina jump up from his table and hurry over to greet a man who had just entered the room escorting Archbishop Edward McCarthy. Several other people made their way over, shook hands with the Archbishop and then hugged the man next to him. In a room full of polite behavior and perfunctory actions, it was obvious that they genuinely cared for this man. “Who the heck is that?” I asked. “Monsignor Bryan Walsh,” said Arturo. Arturo shook his head and gave me a dismissive wave. He turned his back and sat down at the staff table. I’d just been written off. I asked another staffer to switch seats so that I could sit next to Arturo. “Tell me who he is,” I persisted. I couldn’t believe it. One of Miami’s most powerful men had been sent to the United States by himself. To Jacksonville. Arturo pointed out several other attendees gathered around Monsignor Walsh who had also participated in the program. For the next ninety minutes, through lunch, and all the speeches, video clips and related hoopla, Arturo told me stories of Cuba in 1959 and 1960. It was riveting. I was hooked. After that I spent as much time as I could with Arturo. Sometimes he would leave the office with Armando to attend meetings with groups of Hispanic business leaders, like the Latin Builder’s Association or CAMACOL (The Latin Chamber of Commerce). While he was in the office, as far as we were concerned, his job was to tell stories. As Arturo talked about Cuba, we could picture the beauty of Varadero Beach, and we were captivated by the sugar industry and the Bacardi story. We heard about baseball. Music. Good times. But all the stories were in the past tense. Sometimes the stories would be told as he smiled broadly… and sometimes with tears in his eyes. Discussions with Arturo always included a yearning, a desire that was palpable. Whenever we brought up the subject of Fidel Castro, Arturo’s body language, facial expression, and tone of voice would change immediately. If he were forced to mention Castro’s name while we were outside, he’d often turn and spit. We heard about disappointment. Betrayal. Loss. Within a half hour story, Arturo might laugh, cry, shout, and pound on the table. But as he told his stories, he seemed to relive the events before our very eyes. To us, Arturo was describing events that occurred forty years ago. To him, they occurred yesterday. Arturo was an enigma to the three junior staffers, who had all come from middle class, suburban backgrounds in the United States. When I thought of my greatest passions, the best I could come up with was The Big Red Machine in Cincinnati in the ‘70s. 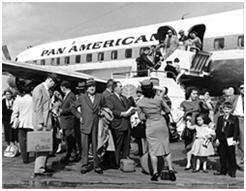 It paled by comparison to Arturo’s undying love for Cuba, and the desire to see a free Cuba in his lifetime. The “No Casinos” campaign was successful and the gambling referendum was defeated. We celebrated at our campaign headquarters and I made the obligatory rounds to all of the CEOs and business leaders. The junior staffers prepared to report back to their real jobs the following day. But Arturo? He said the next day would be no different. Until the end, his focus would remain the same. Cuba. 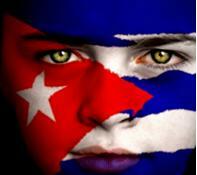 A free Cuba. But the biggest influence from Arturo comes with that last question. When I set out to write my first novel, I thought of a little old man and his daily devotion to a cause that exceeded anything I’d ever seen. So I wrote Castro’s Shadow, a fictional thriller about the Cuban community in Miami, and dreams that never die. I hope you’ll take a page from Arturo: Live with purpose. Believe with passion. And share the story with us. A great story indeed. I remember when you were given that temporary stint while at Amerifirst. What a colorful experience– and a successful one, as well. Greg, it’s great to hear from you. I didn’t maximize the business contacts during that stint (we live and learn…), but the experience was invaluable nonetheless. It was good to come back to the real world and hang out with the Lezynskis before they headed to NJ. Thanks for sharing another inspirational and thought-provoking story about a person who has touched your life. In doing so, you prompt us to ask ourselves questions about our own lives and how we are living it. I always appreciate the valuable lessons you share. I look forward to reading Castros’s Shadow. Soon! Thanks for dishing up this poignant memory complete with clip-on tie. As a child I attended a parochial school between third grade and eighth grade. Sweater and tie or jacket and tie, it was up to us. Most of my classmates minimized the inconvenience by wearing clip-on ties. My parents refused to buy us clip-on ties, so my brother and I learned to tie our own long before our peers. A dubious distinction, I know, and one I rather resented the time… cheers to Arturo Hevia! Thanks, George. I’m hoping to launch Castro’s Shadow by year’s end. I imagine there are several hundred virtualDavis parochial school stories out there. You own the room when you arrive – wherever you are, and I’m guessing nothing has changed since the third grade.